On my way to the Limerick Milk Market, I saw a large roadsign saying that Vistakon in Limerick is recruiting engineers and technicians. You can apply for the jobs at Irishjobs. Vistakon Ireland is a subsidiary of the Global Organisation, Johnson & Johnson. The Company is headquartered in Jacksonville, Florida, and the site in Limerick is the only other manufacturing site based outside the US. The Company manufactures the range of ACUVUE disposable contact lenses to the highest quality. We are the largest producer disposable contact lenses in the world and ACUVUE is the leading product in the market. 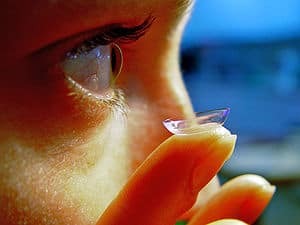 The technology at Limerick is the most advanced in the contact lens industry and we now employ over 600 people on site. Vistakon Ireland was established in 1995 on the National Technological Park close to the University of Limerick. We produce daily disposable lenses in a state of the art technology facility which includes injection moulding, robotics, vision systems and sterilisation systems. All product is manufactured to rigorous parameter specification within a class 100,000 cleanroom environment. The production process is fully automated and the lens is untouched by hand from start to finish of the process. Since our final product will be in touch with the human eye, there are stringent quality and hygiene checks throughout. Overall, the plant’s information systems are run in accordance with ISO and FDA regulations. The Limerick facility was originally fitted out with six advanced production lines to manufacture one day disposable contact lenses for the European and Japanese Markets. Since then, we have expanded a number of times and now have over 30 production lines to manufacture one-day, fortnightly, monthly and colour lenses that are shipped worldwide.